If you were wanting to learn about the history of London’s bars, restaurants and hotels — or indeed just to choose somewhere nice for dinner — you might not immediately think to look in the MI5 archives. These files, which the British government has gradually been declassifying and which are held at the National Archives in Kew, are full of unexpected details about the lives of British Intelligence officers and the people they spied on, including information about where they liked to eat, drink and let their hair down, and the locations that they used for their secret rendezvous. Spies and secret agents have always liked meeting in public places. To meet in public is far more anonymous, and safer, than meeting in private. 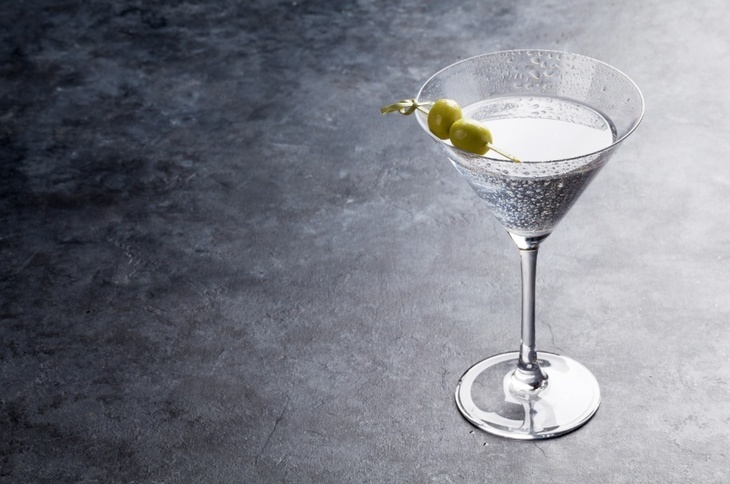 Sensitive conversations can get lost in the general hubbub of what other diners and drinkers are saying to each other — so, even, can the addition of radioactive poison to a man's drink, as London discovered when Aleksandr Litvinenko was poisoned in the Pine Bar of the Millennium Hotel in Grosvenor Square in 2006. Most of these places are in central London, which has always been Britain’s principal magnet for spies. But the suburbs feature one or two important locations too: secret agents have to be willing to go wherever their orders take them. 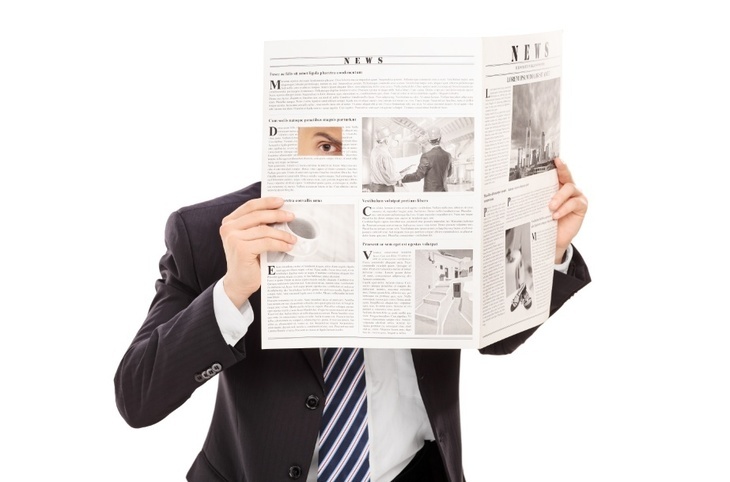 Interestingly, several of the businesses still exist today, so that, if you happen to find yourself in one, you should cast your eye round to check whether any of your fellow customers are spies. But then again, if they were doing their job properly, how would you know? This five-star Mayfair hotel first opened its doors in 1856 and quickly became a favourite with the rich and famous, including royalty. In the 1920s, it developed a reputation as the favourite haunt for well-to-do flappers and bright young things, but simultaneously its airy lobbies and exclusive dining rooms were available to Soviet revolutionaries. In the summer of 1920, the leading Russian Communist Lev Kamenev took to lunching here during his whirlwind romance with Clare Sheridan, a sculptor who happened to be Winston Churchill's cousin. Kamenev was present in London for peace talks with the British government, but British Intelligence suspected that he was trying to recruit Sheridan as a means of getting secret information on Churchill, who was then a cabinet minister. MI5 arranged for a friend of Sheridan's, Sidney Russell Cooke, who was also a former officer of the service, to join her and Kamenev at the hotel restaurant and report back on what went on. 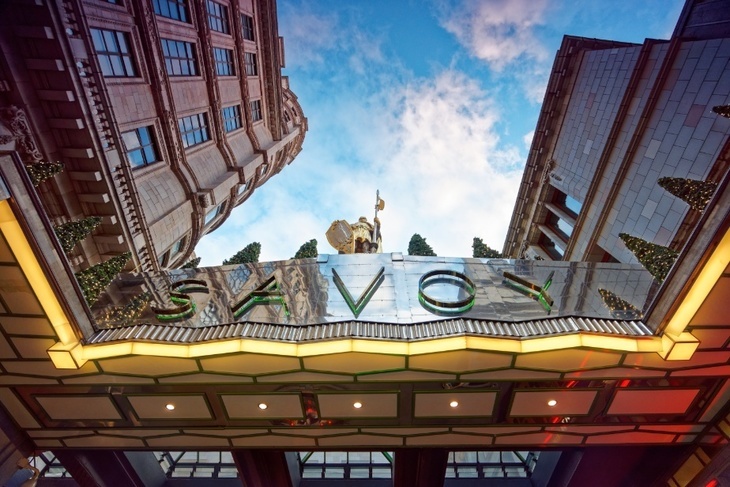 The height of Jazz-Age glamour with its renowned Savoy Orpheans Band and American Bar, this hotel was also the perfect place to demonstrate one's membership of the international elite. That was what Jacob Kirchenstein and his wife Vallie wanted to achieve when they stayed there after arriving in London on an ocean liner from New York in late 1922. Jacob was posing as a shipping agent and wanted to look wealthy and sophisticated. In reality, he was preparing to work as a Soviet secret agent. Moscow had sent him to Britain in order to coordinate a network of spies across the British Empire and to steal military secrets. Thanks to the cover he created with the help of the Savoy, he was able to operate undetected by MI5 and other intelligence agencies for several years. A Victorian institution that thrived in the Roaring Twenties, the Café Royal was another place where Kamenev and Sheridan liked to dine out. At a slightly later date, in the mid-1920s, it was also a favourite drinking spot of Wilfred Macartney, a one-time millionaire who became a convicted jewel thief when his inheritance ran out. After getting caught with some jewellery, Macartney converted to Communism, much to the surprise of his close friends, and went on to sell British military secrets to the Russians for money. His MI5 file described him as an inveterate imbiber of the Café Royal's 'hot grogs'. He thought he was good at covering his tracks, but he was actually watched every step of the way by the intelligence agencies and eventually his espionage landed him in jail for a 10-year stretch. Less celebrated and less central than other spots, the Dolphin pub on the Grand Union Canal in Uxbridge nonetheless played a starring role in a key episode in British history, the 1927 ARCOS raid. In May 1927, British police raided the Soviet Union's main diplomatic office in the City of London, which was known as the ARCOS building. The government expelled 400 Soviet citizens after the raid accusing them of involvement in spying and other seditious activities. The tip-off that sparked the raid came from a former British employee of the Soviets, Edward Langston, who said that he had seen classified British documents inside the building. Langston's new job was as the landlord of the Dolphin pub and it was from here that he monitored closely the news of the raid and its aftermath, worrying greatly about the possibility of reprisals. Soviet secret agents did indeed work out his identity and run him to ground. He sent a telegram to MI5 asking for a revolver to protect himself. This typical 1920s nightclub was located on Regent's Place and became popular with people searching for somewhere to drink and dance after the pubs closed. Restrictive licensing laws meant that such nightclubs, although mainstream, were subject to regular police attention because they illegally sold hard liquor out of hours. But Frolics went one better and attracted surveillance from British Intelligence when an MI5 informant pointed out that it had become the favourite 'night haunt' of female Soviet spies in London. Allegedly, these women were trying to 'get into touch with British officers and young men of good standing' at the club in the hope of starting affairs with them and recruiting them to the Communist cause. Pinoli’s was a Soho institution, a large restaurant in the Grand-Café style that catered to a wide range of tastes and pockets. In late 1920 it was the scene of an event that British Intelligence watched with microscopic interest: the end-of-year dinner of the influential Hampstead branch of the Communist Party of Great Britain. Details of the evening were gathered meticulously by the authorities, who were extremely worried to discover that the guest of honour was a Soviet spy called Nikolai Klyshko. Somewhat excessively, Special Branch sent full particulars of the soirée to the British cabinet, not even withholding the contents of the set menu, which included fried fillet of whiting and chicken au chasserole. Festivities apparently ended with a rousing rendition of The Red Flag. This celebrated chain of teashops, with their 'nippy' waitresses, was owned by the ancestors of Nigella Lawson. The Soviet secret agent Walter Dale liked to meet his moles inside Special Branch at the Corner House near Bank tube station. Over tea, and perhaps the occasional slice of cake, he received tip-offs about future secret operations as well as documents from Special Branch's confidential archives. All of these he passed on to Moscow. A forerunner of later chains like All Bar One, the Bodega specialised in wine rather than beer. It had an ornate interior spread over many floors and was colloquially known as the Marble Halls. 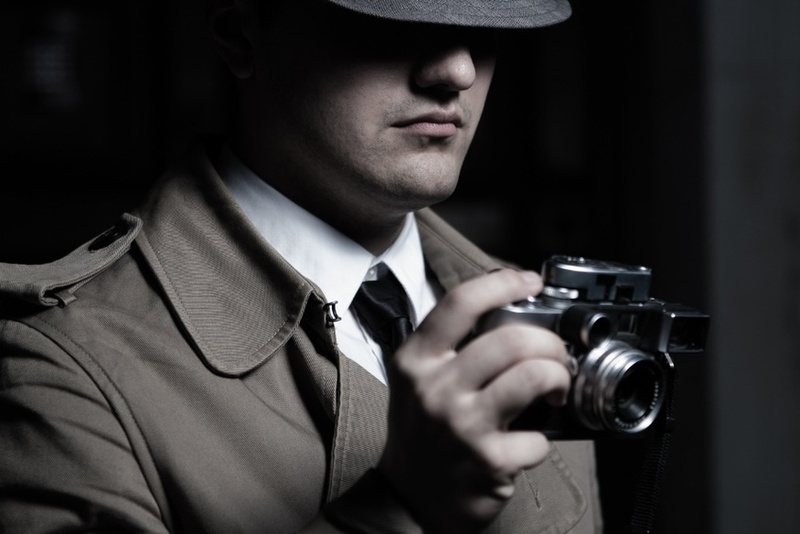 It was popular with writers, journalists and actors — which is probably why, in early 1925, W. N. Ewer, a leading journalist, decided to use it to meet a potential British Intelligence informant. In addition to his work at the Daily Herald newspaper, Ewer was a Soviet spy. In the best traditions of intelligence tradecraft, he instructed his secret service contact to 'carry with you or be reading a copy of the Daily Herald'. 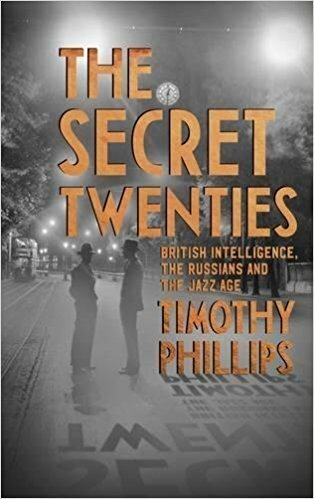 The Secret Twenties: British Intelligence, the Russians and the Jazz Age is published by Granta and is available online from Amazon, Waterstones and all good bookshops.